French Country marries an old world sensibility with an edge of sophistication that keeps it perennially fresh. 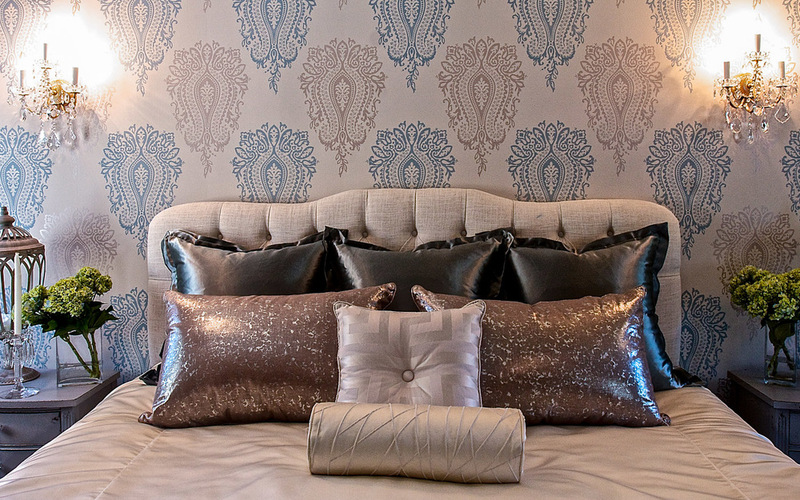 Crystal sconces, patterned rugs and wall coverings complimented with traditional furnishings, this master bedroom was guided by instinct and a knack for balance. 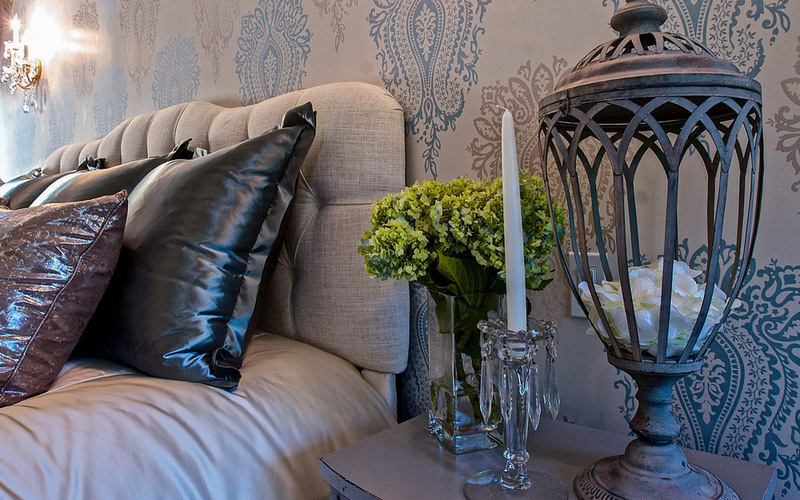 Custom drapery and bedding united elegance and sophistication. Adding the cherry on the top we lined the armoires glass doors with the wallpaper to hid the clutter and make my clients piece unique. Just like it sounds, French country style springs from the gentle hills and valleys of rural France. It's an unstudied, collected approach, built on firmly entrenched local traditions and on cherished objects handed down through generations. Simple and sincere yet effortlessly elegant, it satisfies the soul as much as the eye.